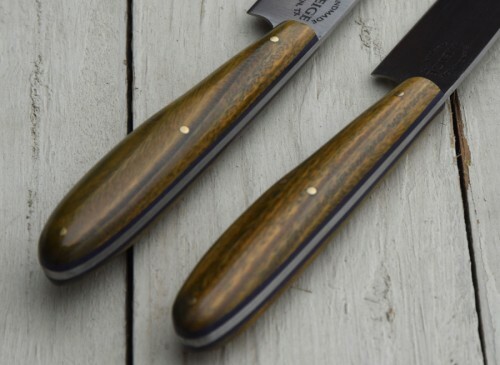 One of a kind set of 2 steak knives in 440c stainless steel. The handles are done in lignum vitae wood. Lignum vitae is Latin for “wood of life” and is one of the hardest woods on Earth. The liners are purple G10. The pins are done in solid brass. The blade is 4.5″ and the total length of each one is 9″. 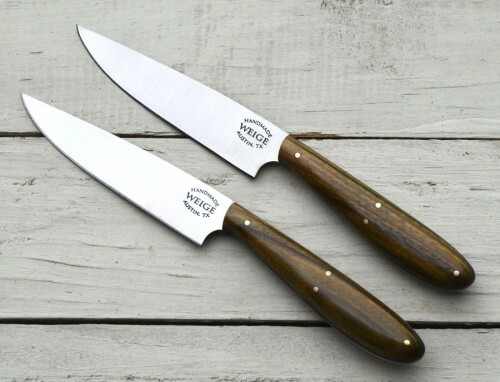 These steak knives are done in our infamous Barley Swine design that is sleek, ergonomic and modern. 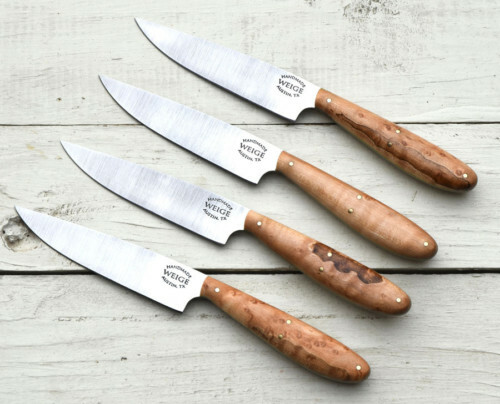 The original set of steak knives are still in use at Barley Swine in Austin, TX. Ready to ship. Free shipping.